When I was younger, I tried to close my unused credit card accounts to boost my credit score. I never carried a balance, but I thought if I had too many credit cards, I wouldn’t be eligible for new lines of credit. Years later, I discovered this belief was misguided, and that the truth was far more complicated. To understand how closing a credit card account can hurt your credit score, it helps to know how the score is calculated. Companies used to review your credit history to determine your creditworthiness, and then decide whether or not to grant you a line of credit. Today, the credit bureaus have boiled your credit history down to a single number, the credit score. The most important factor is your past payment history, which comprises 35% of your total credit score. The amount of your outstanding debt makes up 30% of your credit score. The length of your credit history makes up 15% of your credit score. The remaining 20% is divided evenly between new credit, and the types of credit accounts you have. When you close a credit card, you reduce the average age of all of your accounts, so closing old accounts hurts your credit score. 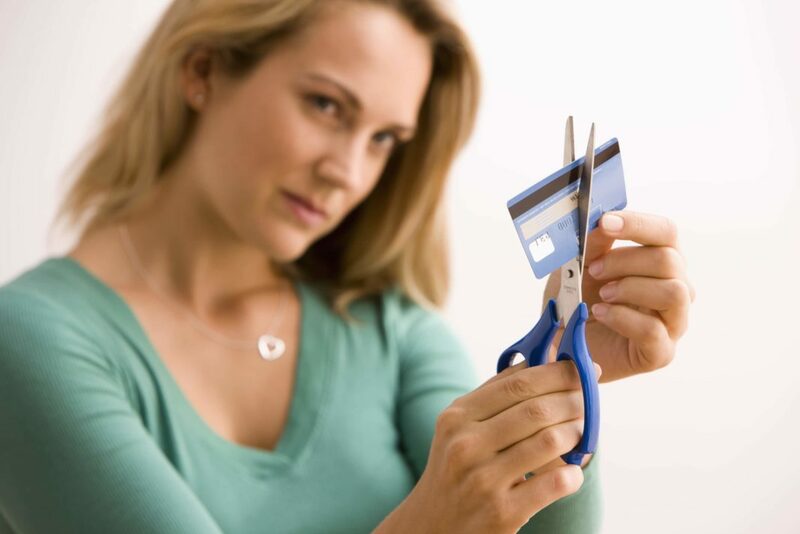 Closing a credit card account and incurring more debt have the same negative impact on your credit score. Closing an account also affects your credit utilization ratio. The credit utilization ratio is the percentage of available credit that you are actually using. For example, if you have a credit card with a limit of $5,000 and you have a balance of $2,500 on the card, your credit utilization is 50%. A higher ratio negatively impacts your credit score. Having many accounts open actually helps your credit score, so you don’t need to systematically close unused accounts. In fact, many credit advisors recommend having four to six open credit card accounts. When you have to close a credit card account, don’t close your oldest credit card. The account with the most payment and usage history should remain open, if at all possible. Focus on closing new accounts, instead. Don’t keep unused credit cards that charge annual fees, but wait until fees are due before canceling any credit cards. Call the credit card companies and request that the fees be waived. You can also ask that accounts be switched to similar cards, with no annual fees. However, make sure that the credit card company does not close your account and re-open a new one, as this defeats the purpose of retaining the account for your credit history. While you should limit yourself to four to six cards, you may find that obtaining the ideal card means giving up some of your less optimal cards. Once you have the cards you want, close one or two of the cards you no longer need. Don’t close all of your unused accounts at the same time. This action negatively impacts your credit utilization ratio and your credit history. 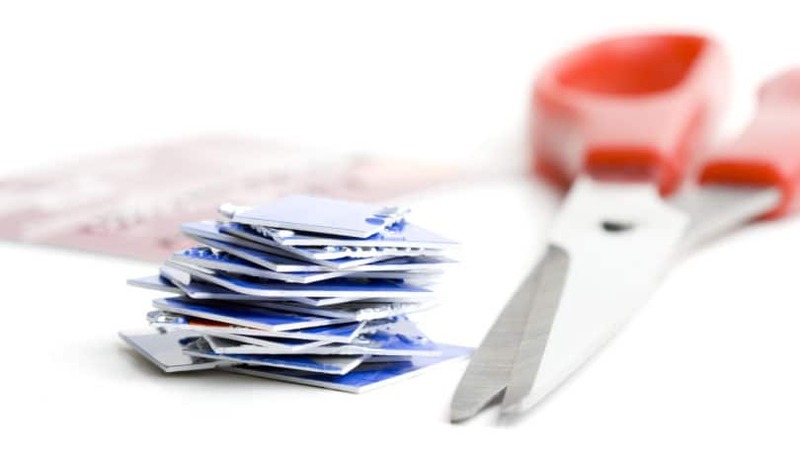 If you need a credit card makeover, close cards one at a time, over as long a period as possible. Open new accounts gradually, since the number of recent applications can also negatively impact your credit score. If you know that you will apply for a mortgage or another major loan in the coming months, postpone closing your accounts. The damage caused by closing the accounts will have only a minor impact on your credit score, but every bit of due diligence counts, especially when applying for an important loan. If you have trouble with one of your accounts, do your best to pay it off or to transfer the balance before the bank closes the account. Accounts closed by banks negatively impact your credit score. According to the terms of many cash back credit cards and travel rewards credit cards, customers forfeit their cash back, points, or miles when they close their accounts. 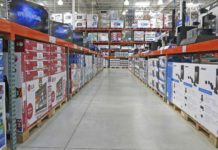 For example, customers only receive cash back from the Costco True Earnings American Express Card (a Money Crashers partner) once a year. If you cancel that card before you receive your reward check, you won’t get anything. Rewards points programs are often only available to customers with open accounts, so before you cancel a rewards card, redeem all of the cash or points you have earned. The representative at your credit card company will ask you why you are closing the account. Unless you want them to offer you something in return, you don’t need to answer this question. Plainly state that you are closing the account, and that you do not have the time to discuss your reasoning or go into details. If you’d like to avoid the negative impact on your credit score, don’t close credit cards unless it is necessary. If you absolutely cannot retain a line of credit, however, close the account. After all, consistently making payments on time and reducing or eliminating debt has much more of an impact on your credit score than closing a line of credit. If you use credit cards and rewards wisely, a closed account will have a minimal impact on your credit score. Have you ever made the mistake of closing a credit card account? How did it impact your credit score?